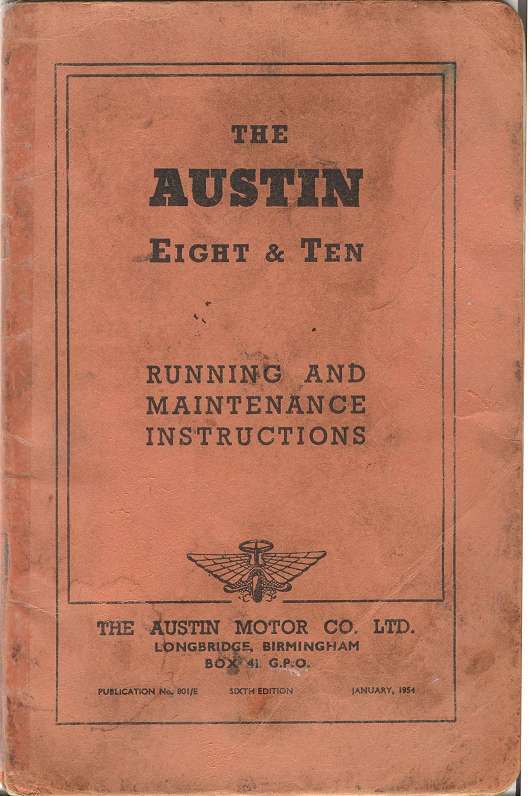 Below you will find examples for the hand books & manuals for the Austin Eight. 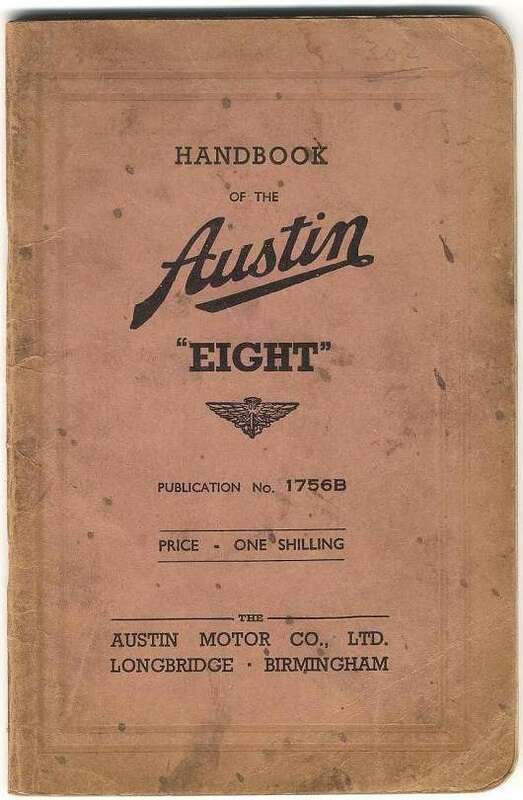 Handbook for the Austin 8 AP Military tourer. For the 8AP military tourer specific hand books were printed. This booklet is based on the tourer. I have never seen a specific hand book for the civilian tourer. 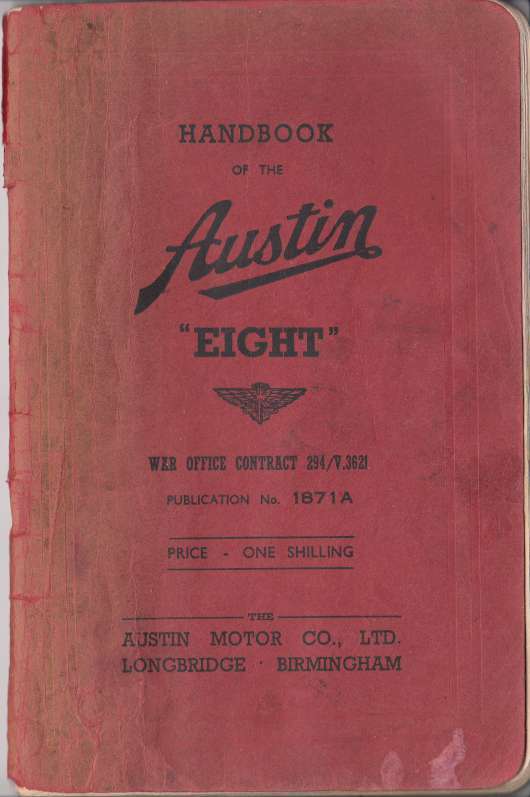 Pre war handbook for the civilian Eight. 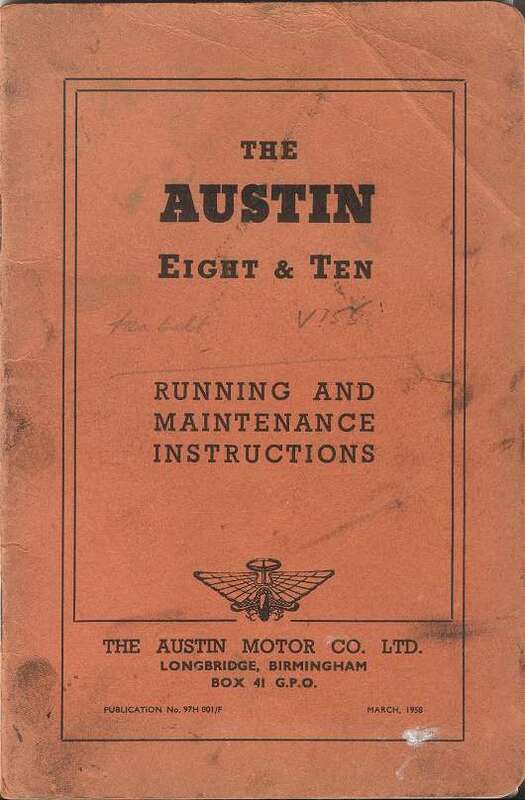 The after market hand books were available as a 44 page, combined hand book for both the Austin Eight and Ten. 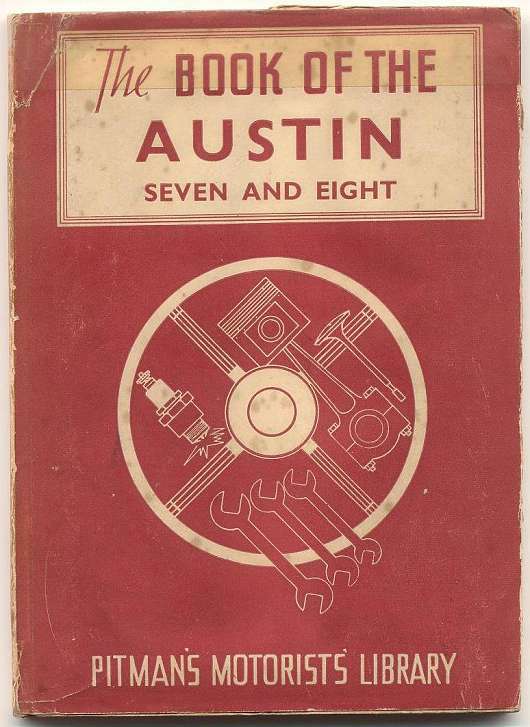 Below two examples, one published in 1954 and another in 1958.
er market hand books were available as a 44 page, combined hand book for both the Austin Eight and Ten. Below two examples, one published in 1954 and another in 1958. Hand books for the civilian Eight, published during the war. 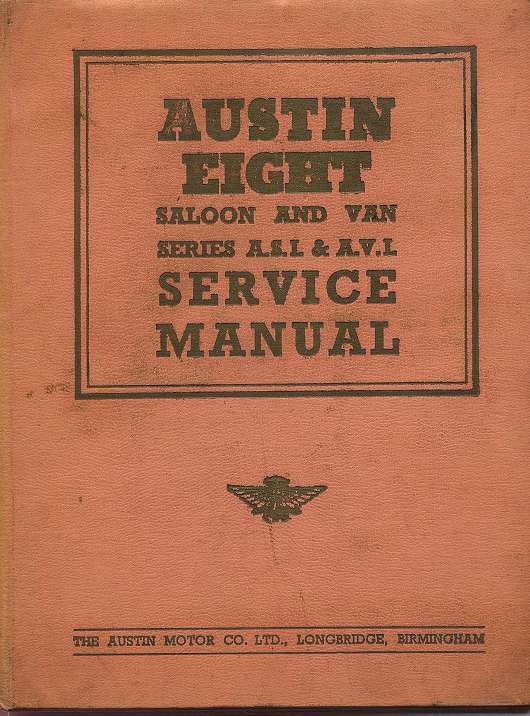 There were even manuals printed for the civilian Eight during the war, below an example of a manual published in 1943. 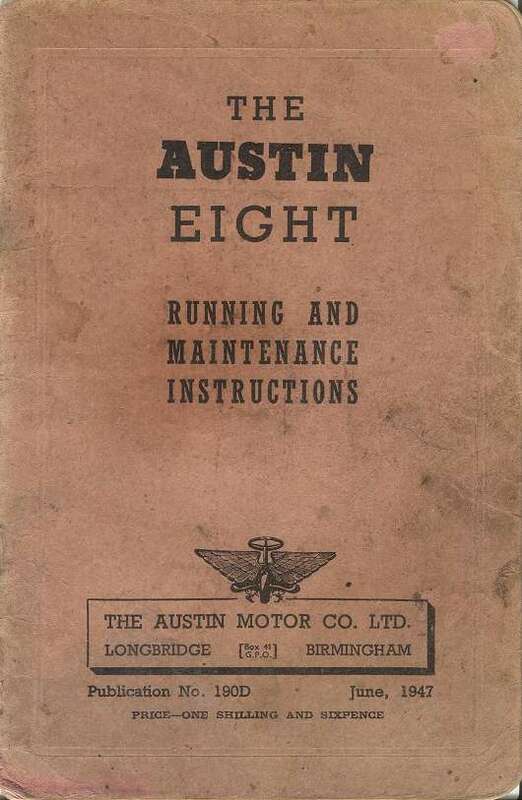 Post war handbooks for the civilian Eight. With the post war model, also new style hand books were printed. There must have been at least 4 prints in 1946. 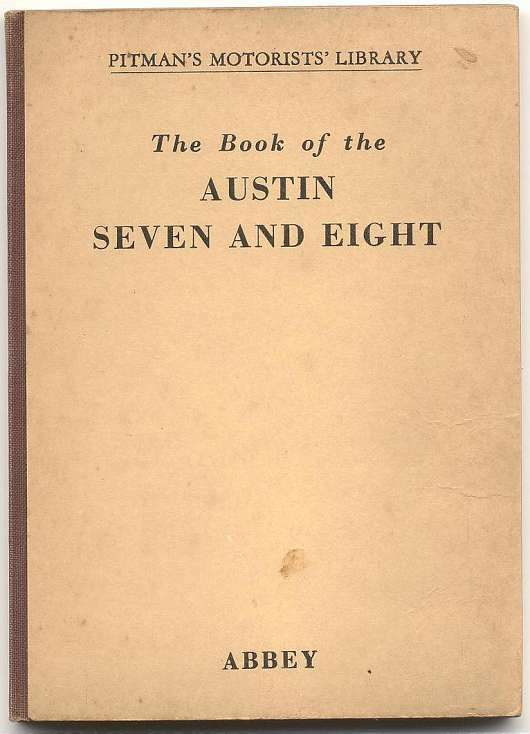 After Market handbooks for the Austin Eight & Ten. 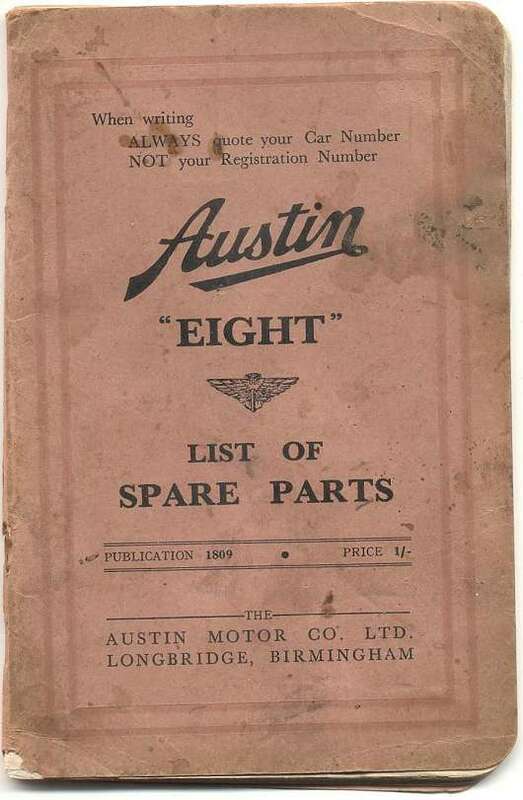 Below you will find examples for the parts lists for the Austin Eight in colour. Same as the hand book, there is a specific parts list for the Military 8AP Tourer. Below an example of such a parts list. 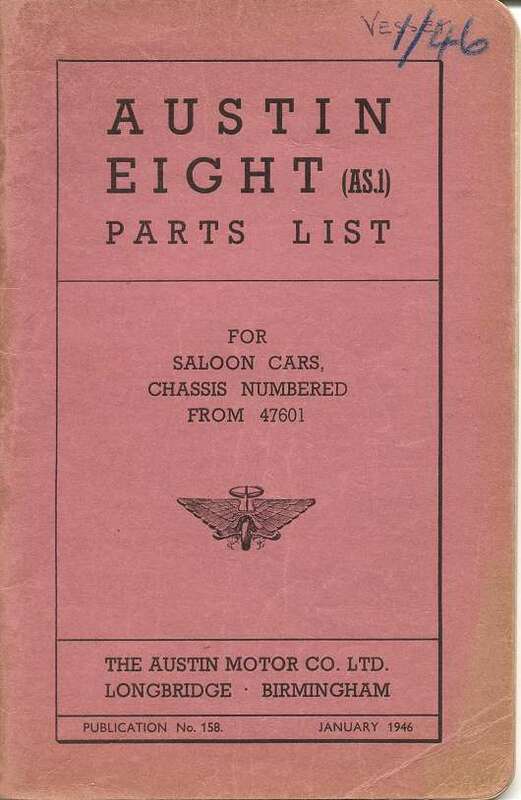 Below you see a parts list for the early AR and ARA four light and six light saloon models. This book contains 72 pages with many detailed images, including part numbers and descriptions. Also here I have not seen specific parts list for the civilian tourer. 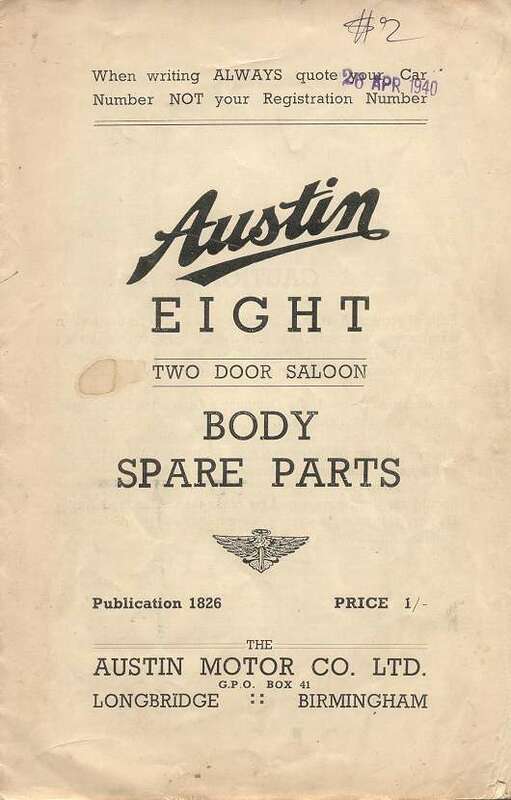 Austin Eight 2 door four light saloon body parts list. 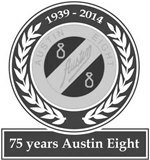 This is a 16 page Austin 8 two door saloon, four light, body parts list (ARA) This booklet contains descriptions and part numbers only, without any images. 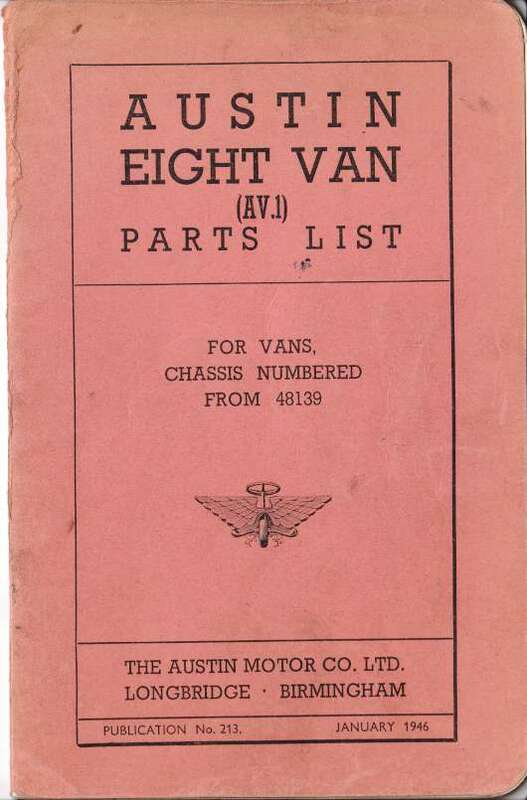 This is a 98 page Austin 8 saloon parts list for the AS1. This book contains many detailed images, including part numbers and descriptions. It indicates that the six light saloon model AS1 started with chassis number 47601 in 1945. 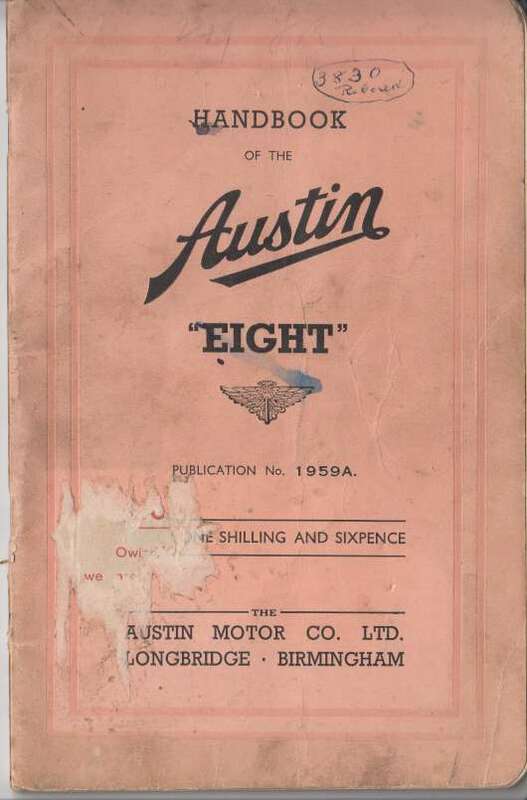 This is a small booklet, same size as the hand book, containing 17 fold out plates for the Austin Eight AS1 & AS1L. The detailed plates are indicated as plate A till plate Q. The fold out plates are approximately A4 format. This booklet does only contain the fold out plates and does not contain listings for items descriptions and part numbers. 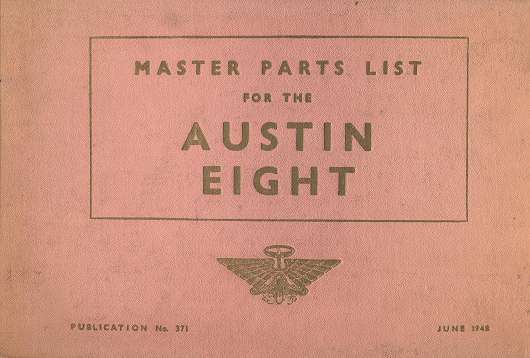 It is most probably a small reprint for the hard cover king size master parts list as shown below. 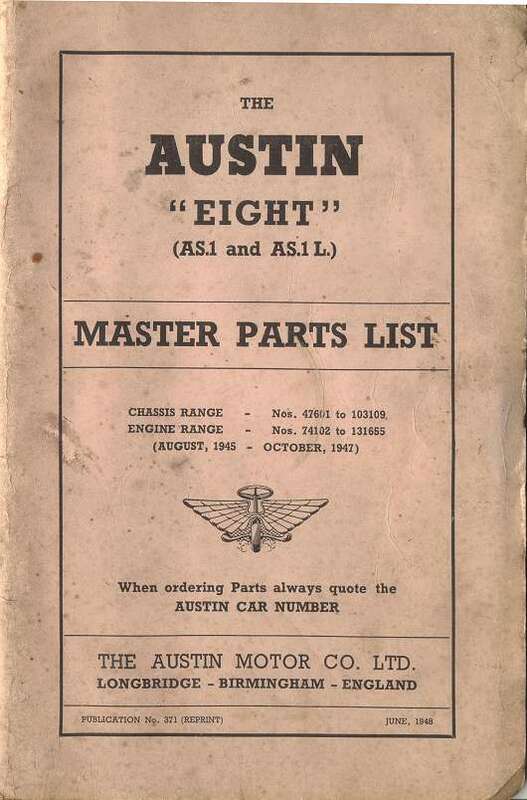 Master parts list for the post war Austin 8 saloon AS1 and AS1L. 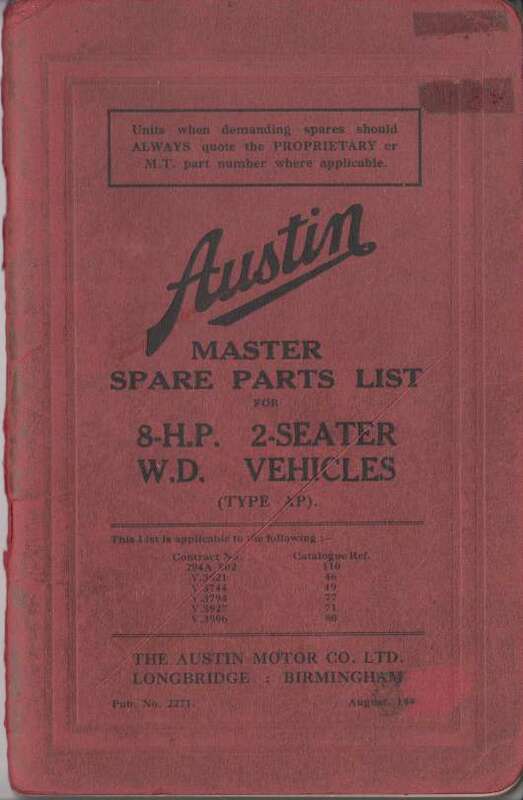 Below you will find the king size verson of the master parts list as shown above, containing 17 fold out plates for the Austin Eight AS1 & AS1L. The detailed plates are indicated as plate A till plate Q. The fold out plates are approximately A4 format. Besides the plates itself this book also contains all descriptions and part numbers in listing. 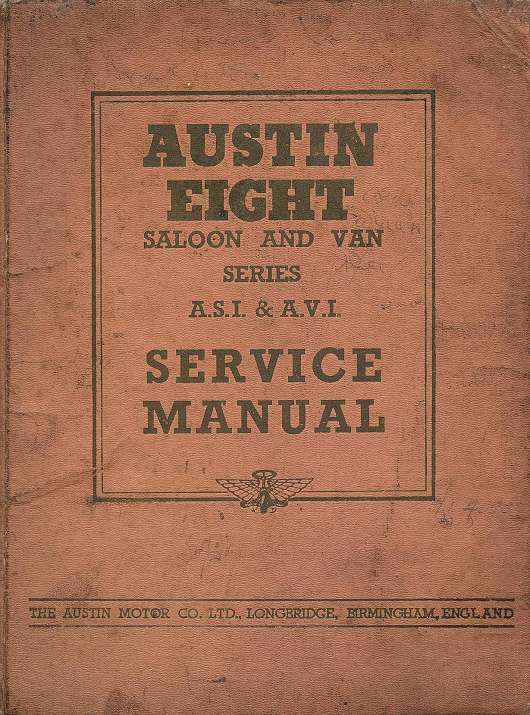 Below you will find examples for the hard cover service manuals for the Austin Eight. I have decided to publish this web page in black and white only, but here you are able to view them in colour.